Whole 100% Organic Chestnut Roasted & Peeled and Ready to Eat. 3 Small Packs 60g x 3 packs. Certified Organic by Control Union Producer. 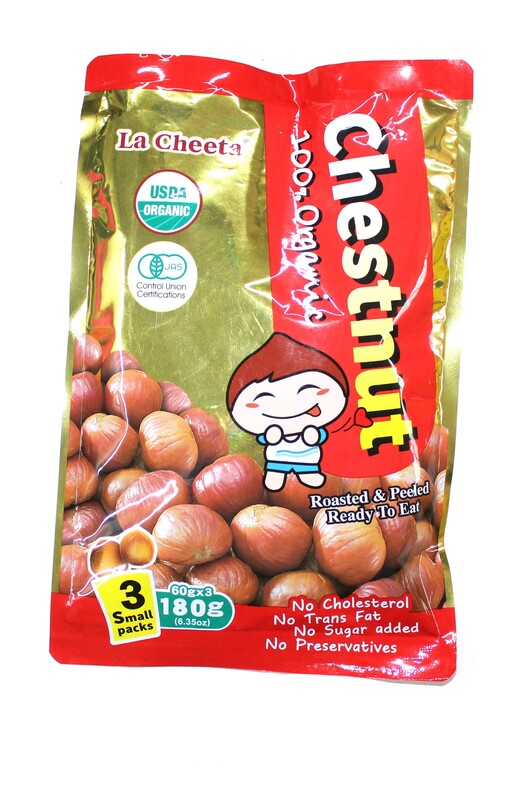 **Buy 3 bags of ANY kinds of chestnut and get 10% off!